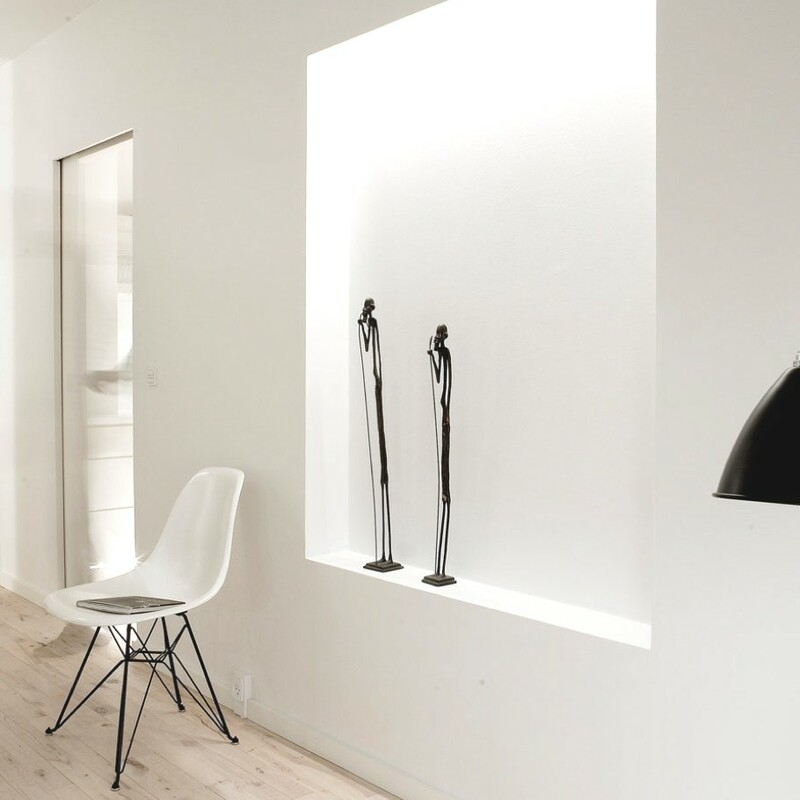 Danish design studio, Norm Architects, has completed the Copenhagen Penthouse I project. 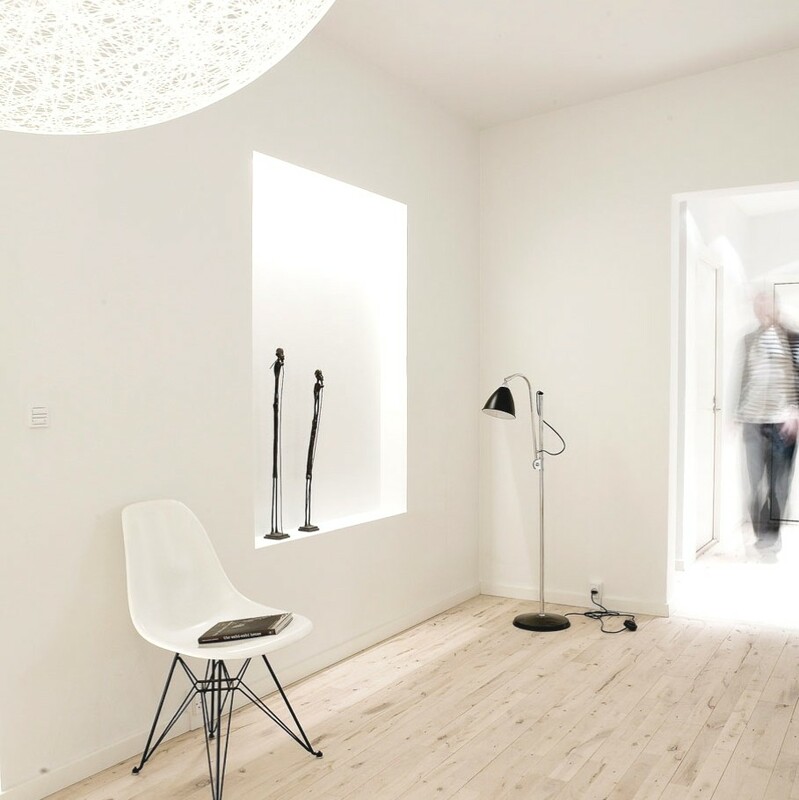 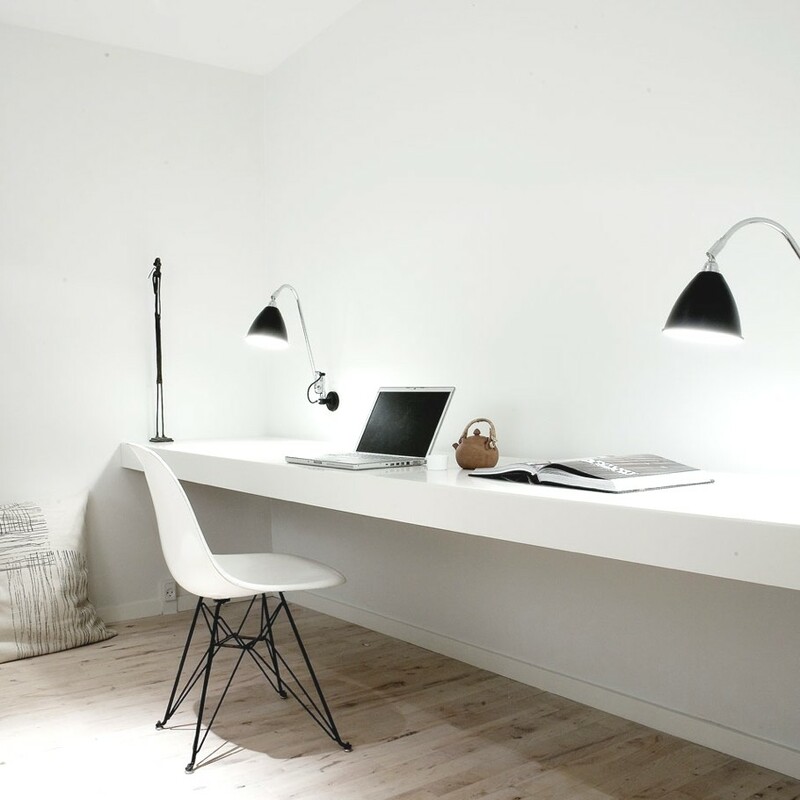 The minimalist holiday home can be located in in Copenhagen, Denmark. 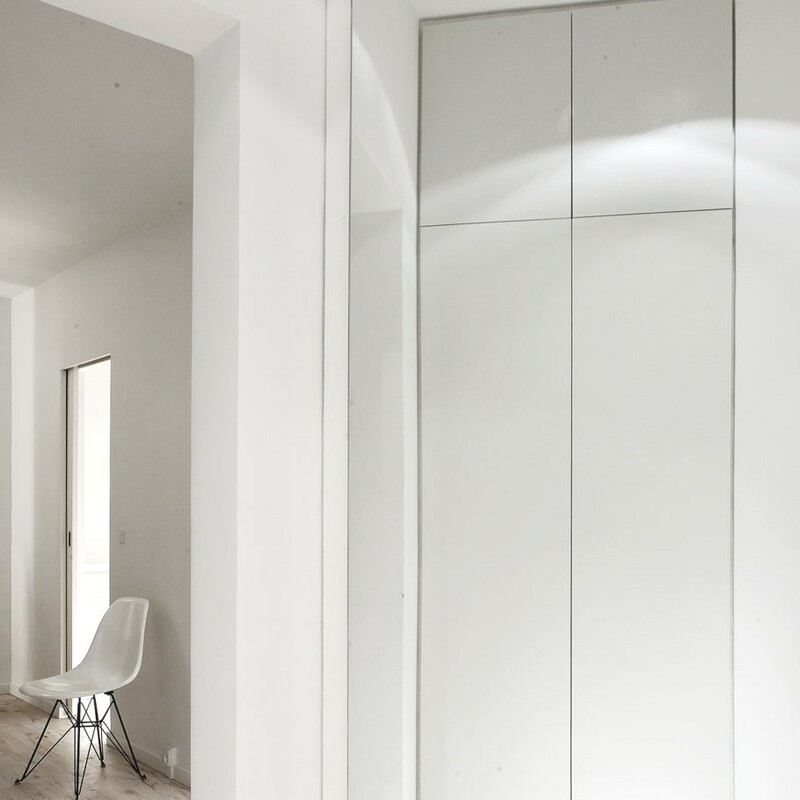 According to the architects: “The basic idea for the renovation of this contemporary Copenhagen apartment was to create the feel of a private hotel suite for a Danish couple living in Spain. 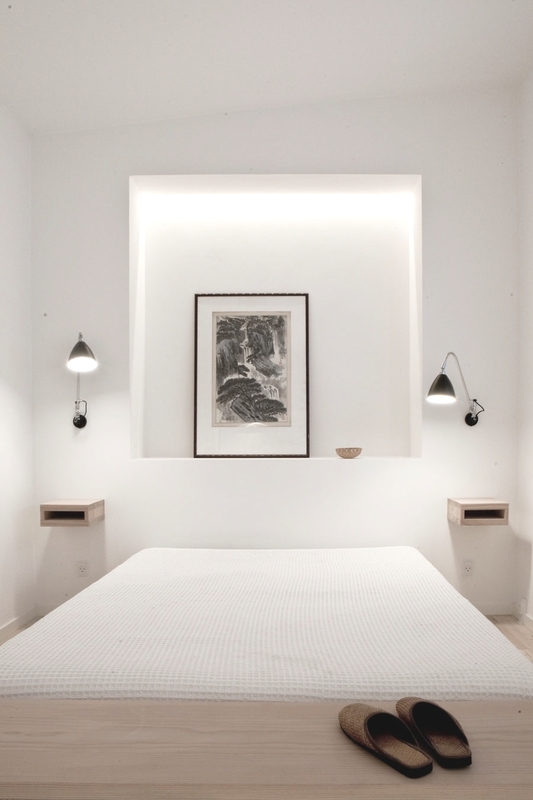 “As the owners travel a lot, we wanted to create a calm and pure structure that was ideal for relaxation. 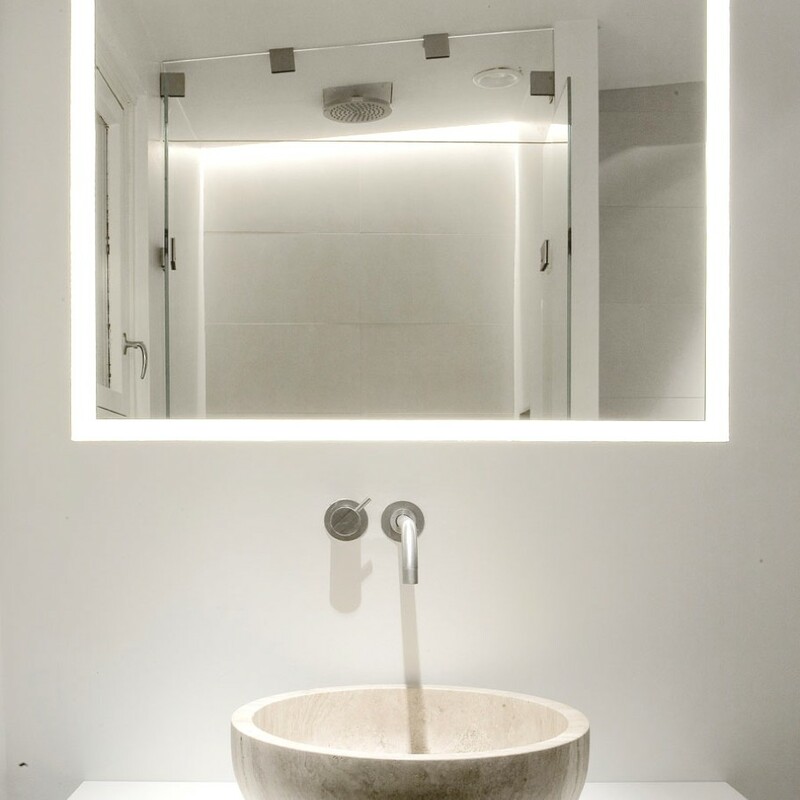 “Everything but the floors and the main structure was redone and we used the existing elements to create niches where we installed hidden lights. 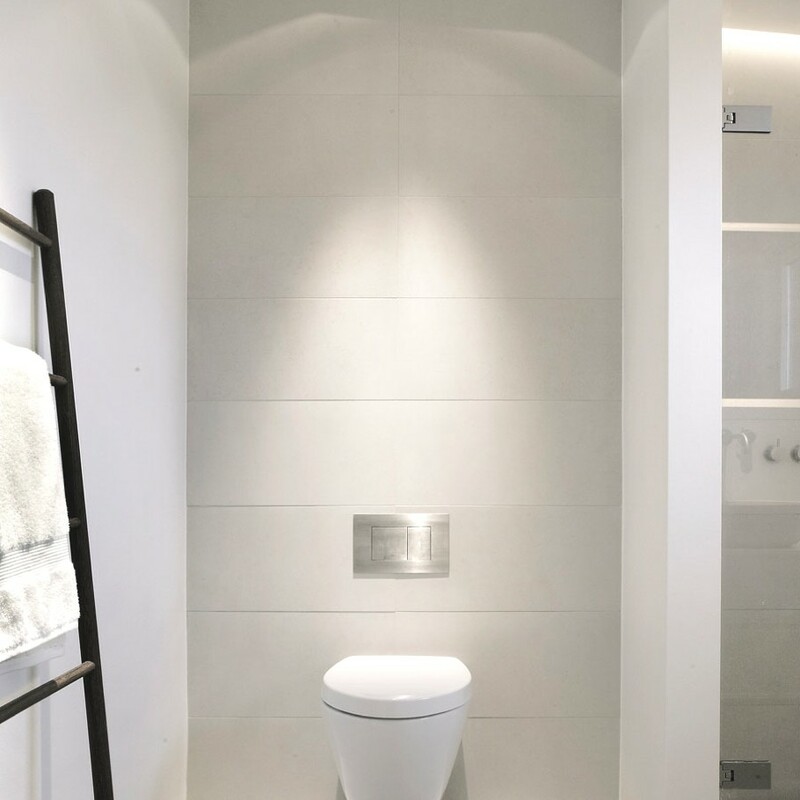 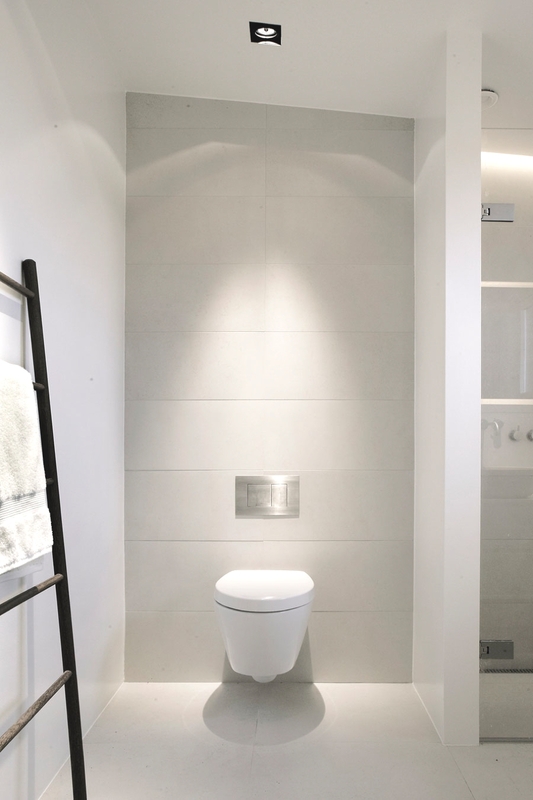 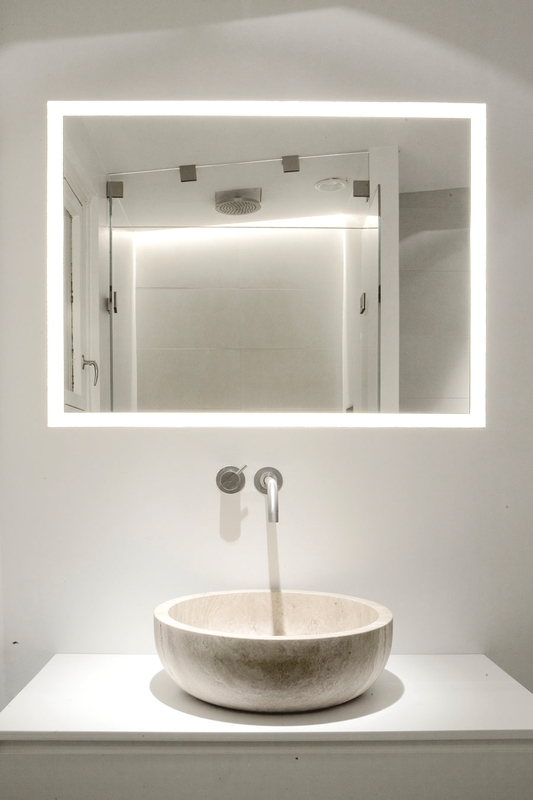 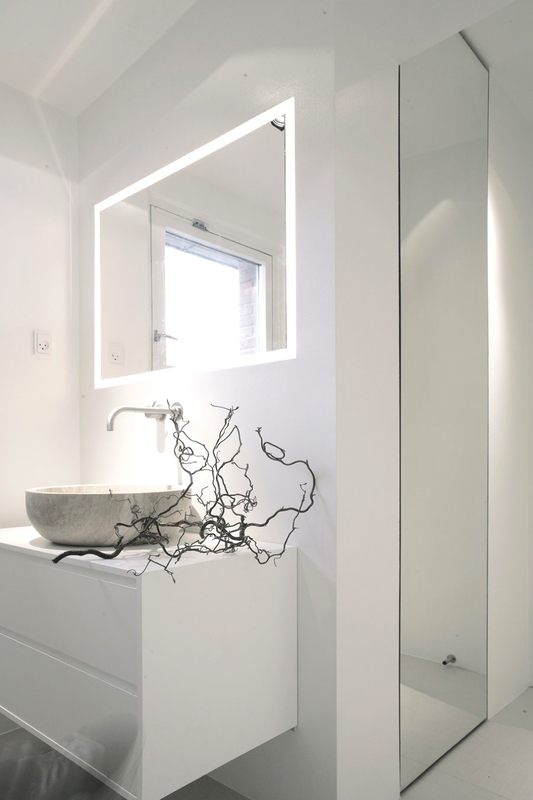 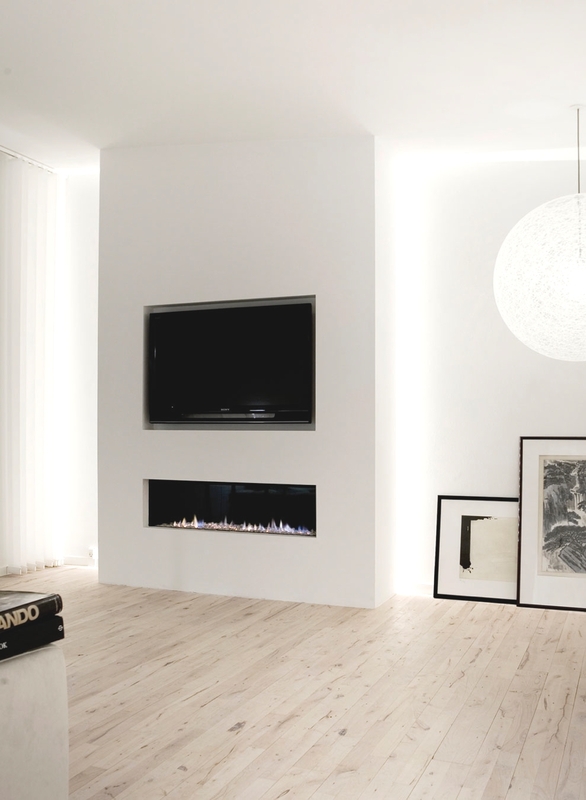 These built-in light niches gave a clean and simple interior that needed a minimum of furnishing, lamps, etc. 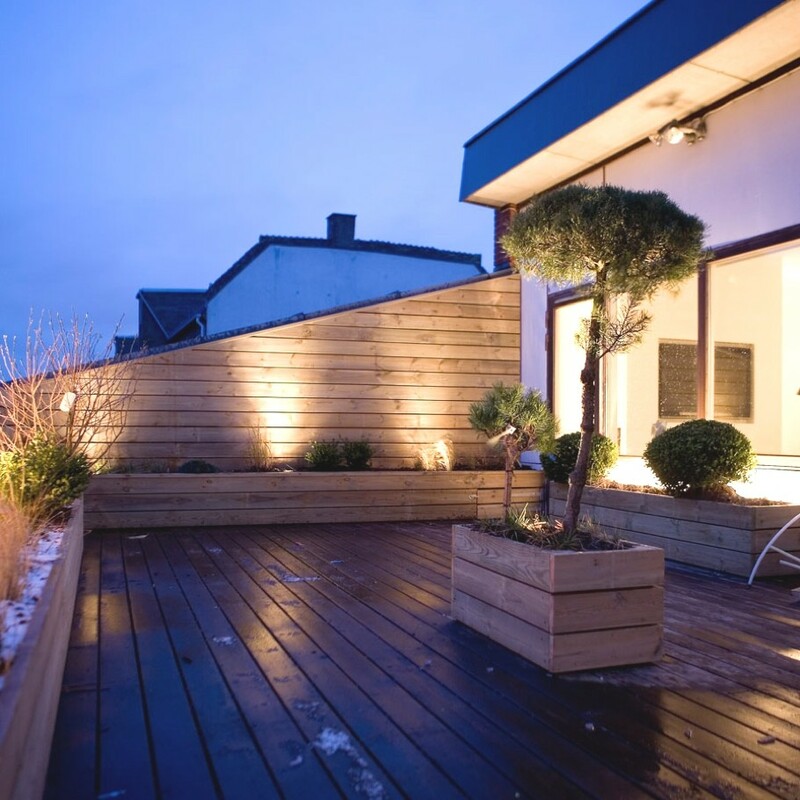 With all the lights being dimmable it also allows the owners to create the right cosy atmosphere that fits the often grey skies of Copenhagen. 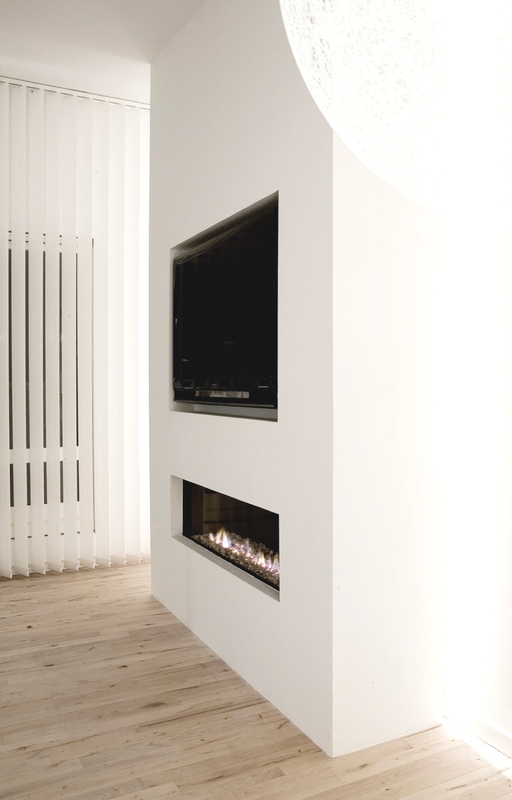 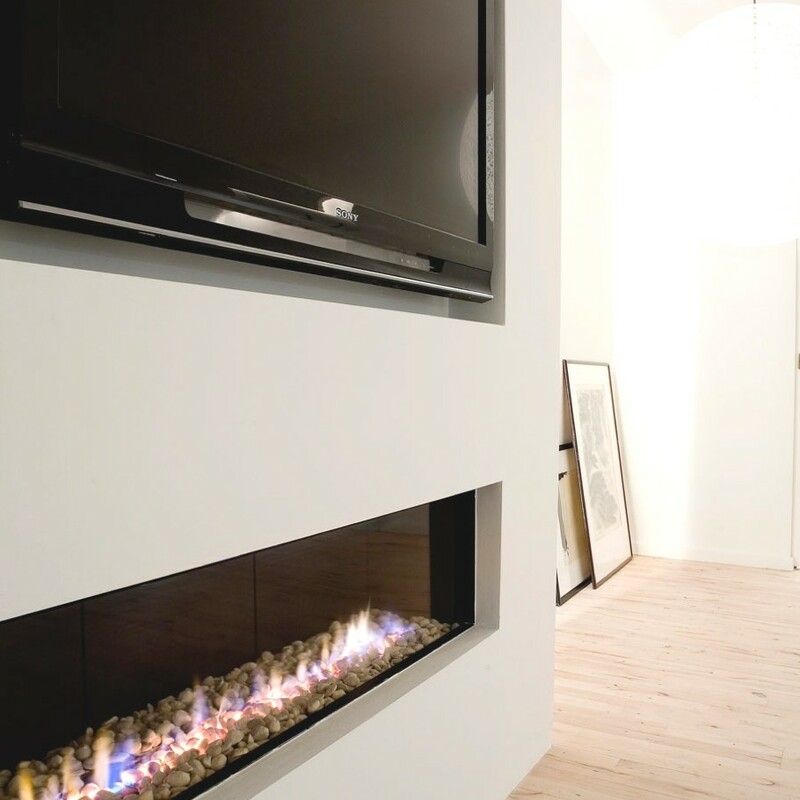 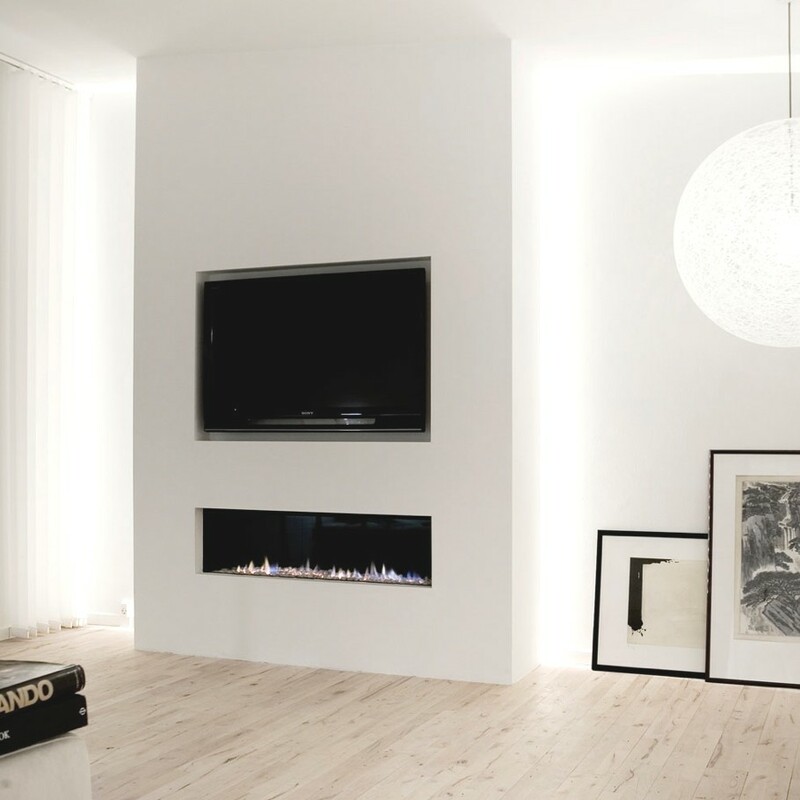 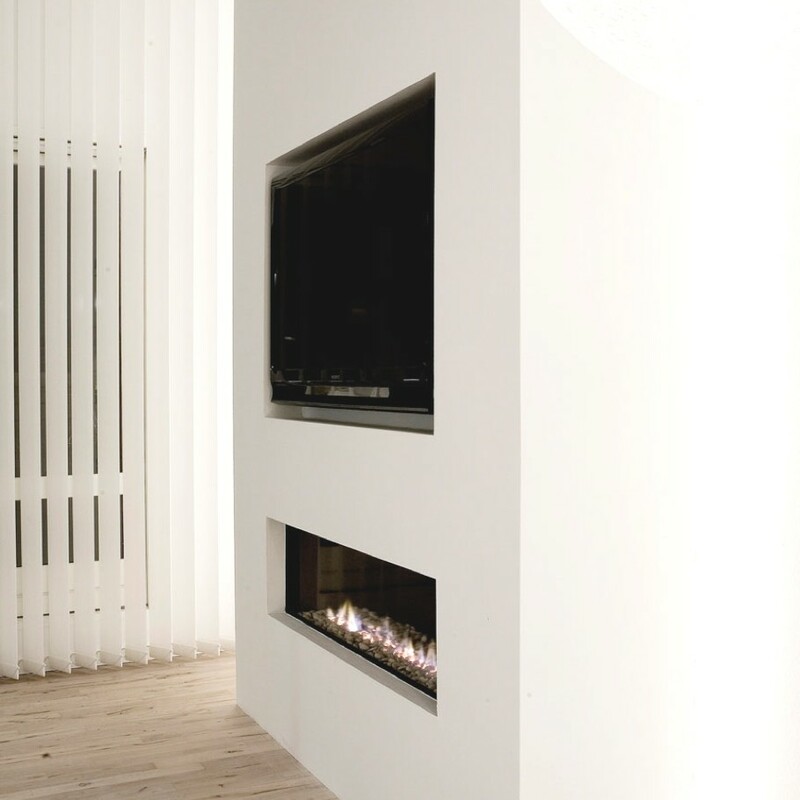 “With an intelligent Home Control System they can control all the lights in the contemporary Copenhagen apartment, turn on the fireplace and the air-conditioning with a single touch on their iPhone, as they set foot in Copenhagen Airport. 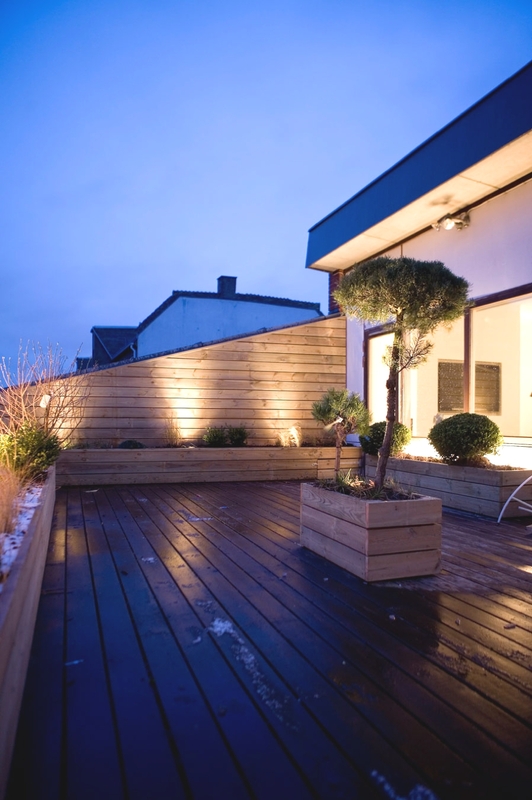 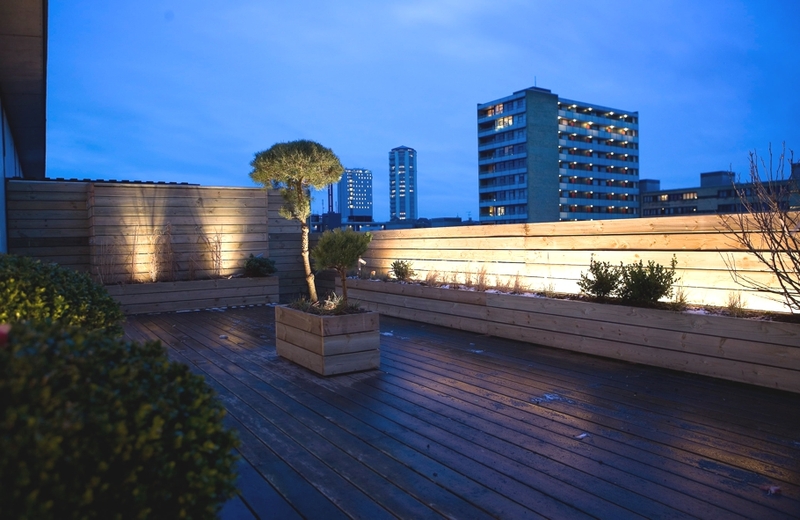 “The rooftop terrace, that is almost the same size as the apartment, was also completely renovated in a minimalist wooden structure that allowed a Japanese inspired grass garden on the top of the concrete building overlooking the Copenhagen skyline. 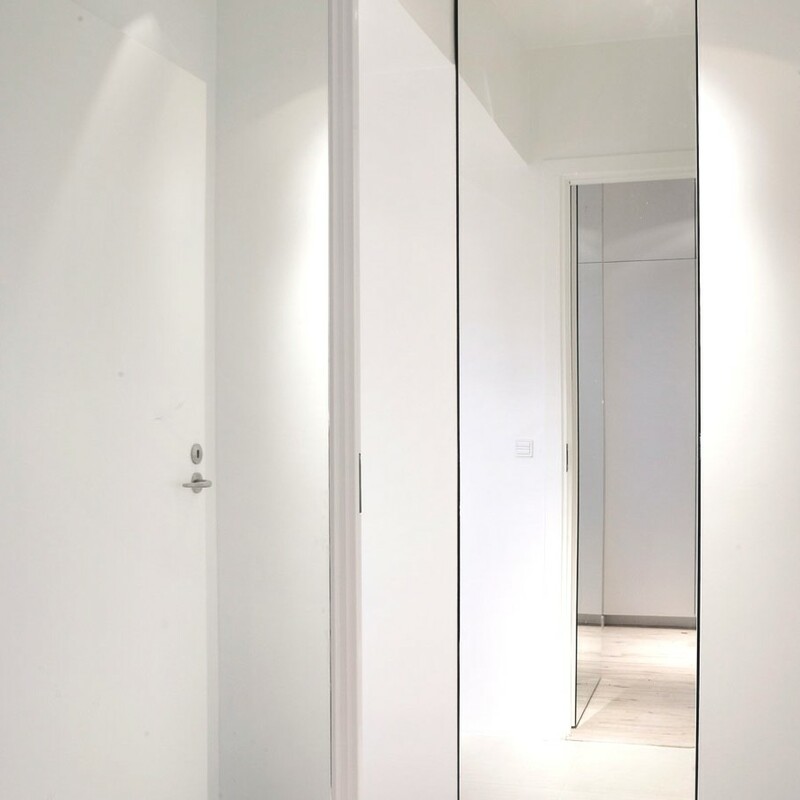 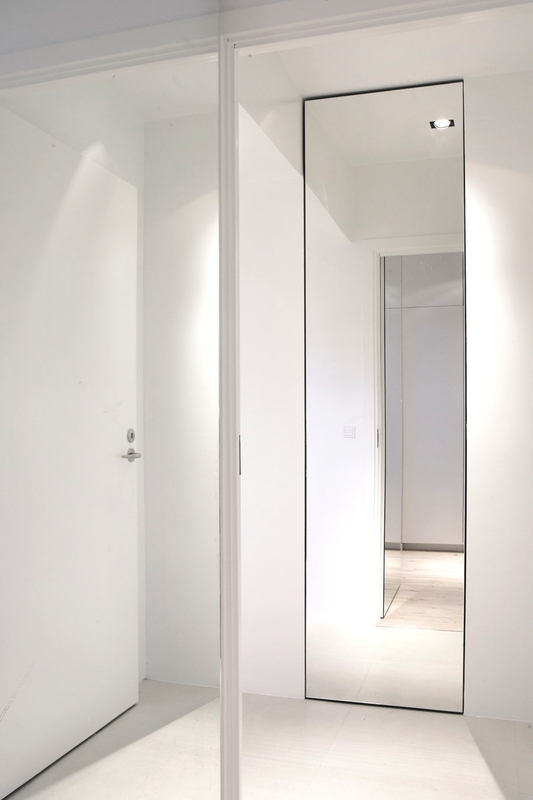 “The main idea in the hall was to clean up the structure and use the irregularities to build floor-to-ceiling closets and place tall mirrors to extend the feeling of width in the narrow hallway. 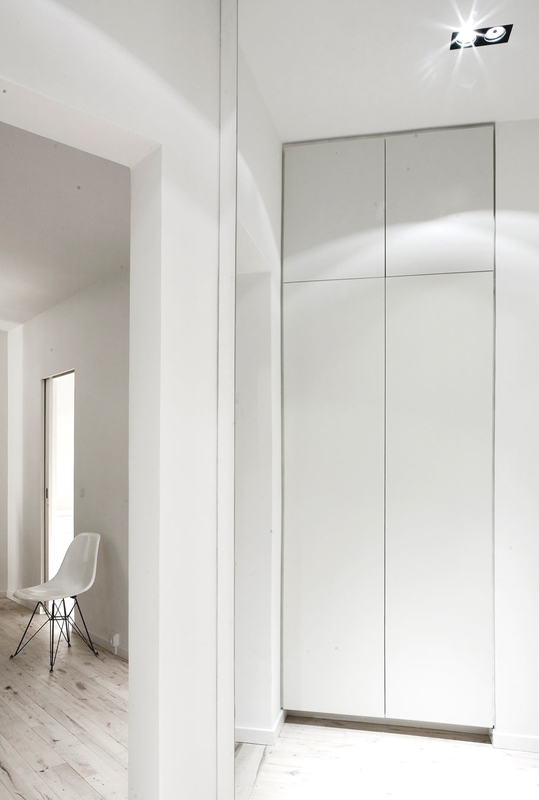 As in the rest of the apartment build-in spotlights from Modular were placed in the ceilings to keep the walls bare. 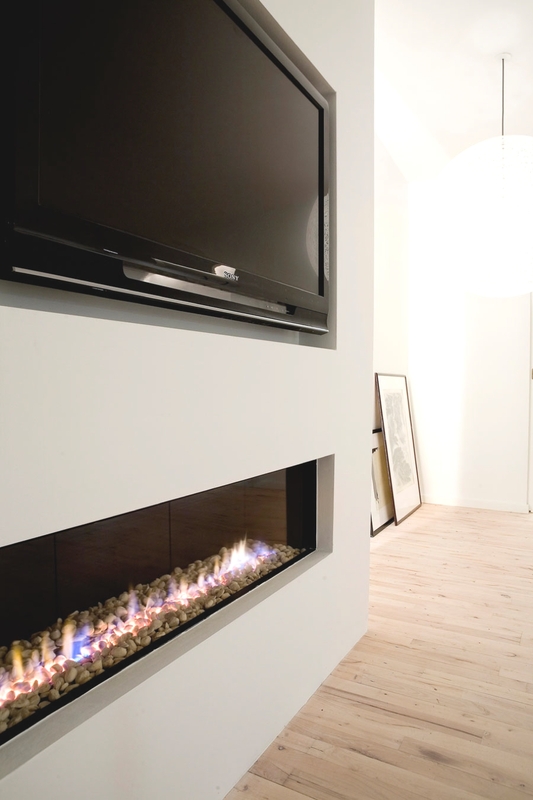 We removed the door in the living room in order to be able to view the full length of the luxury Copenhagen property. 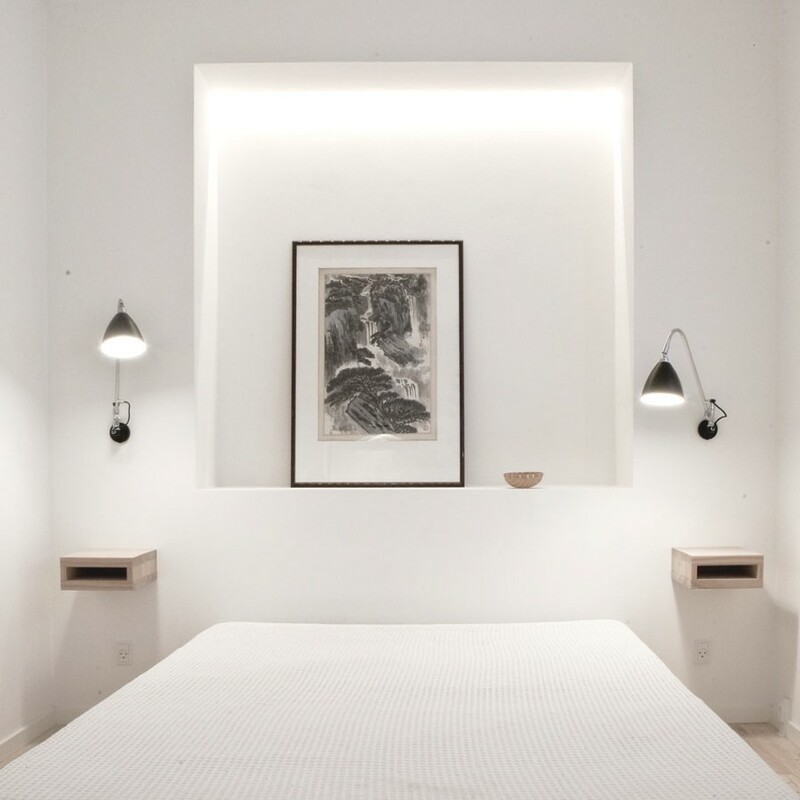 “An irregularity in the existing architecture was used to create a Japanese inspired ‘Tokonoma’ above the bed with bulilt-in lights from Agabekov. 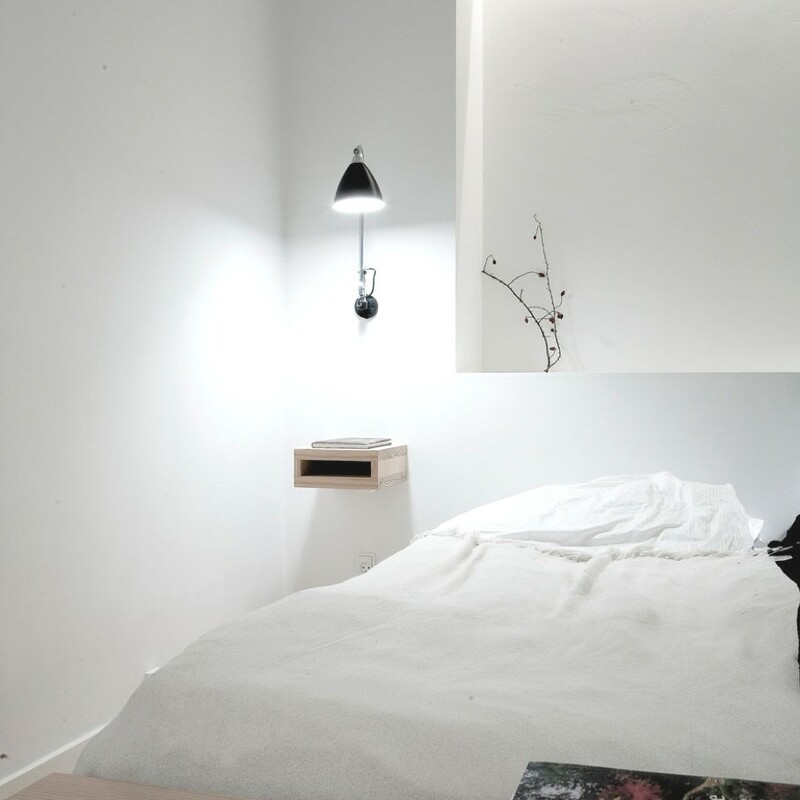 The small wall mounted side tables can only hold one book inside and underneath you have switches to dim all the light effects in the room to create just the right ambiance. 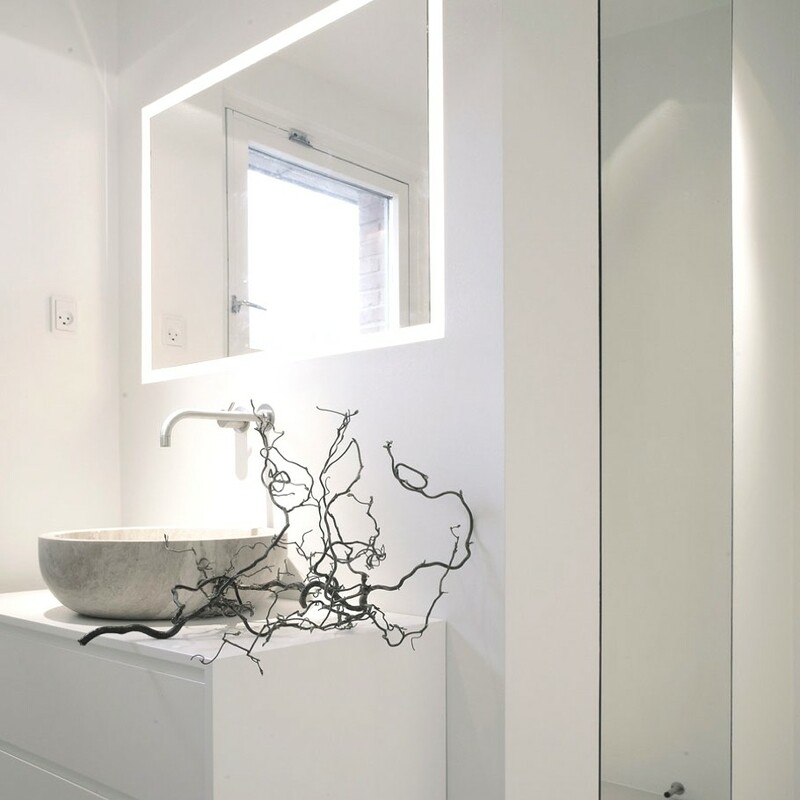 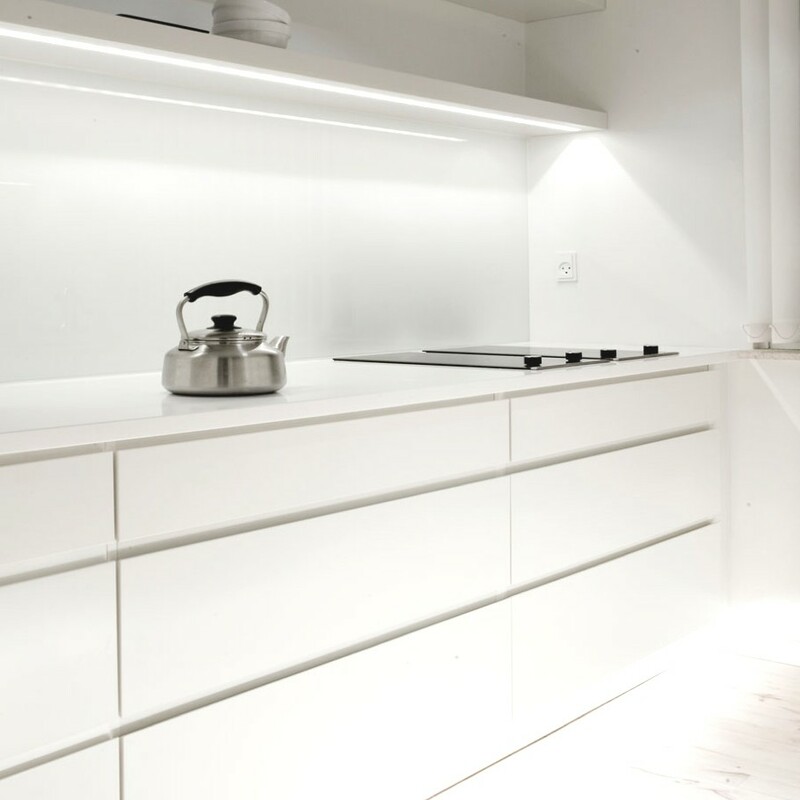 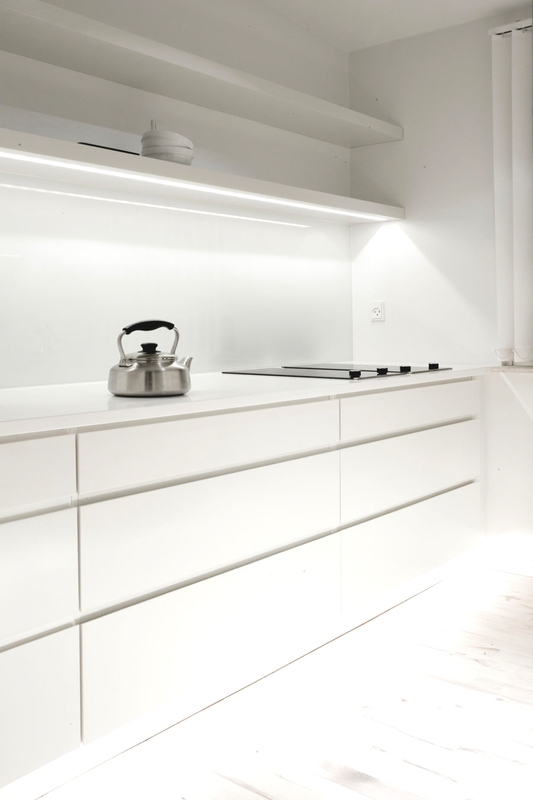 The lights can also be programmed in different scenarios in the whole apartment, so that you can create a certain atmosphere with a single touch. 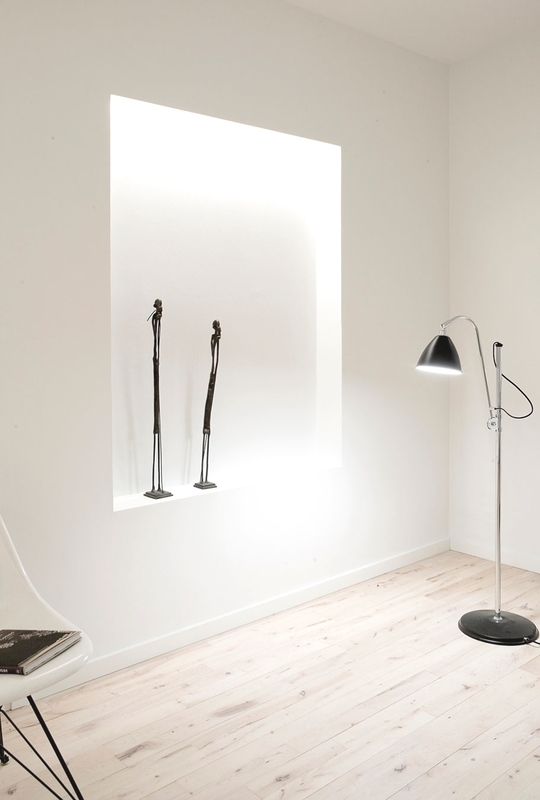 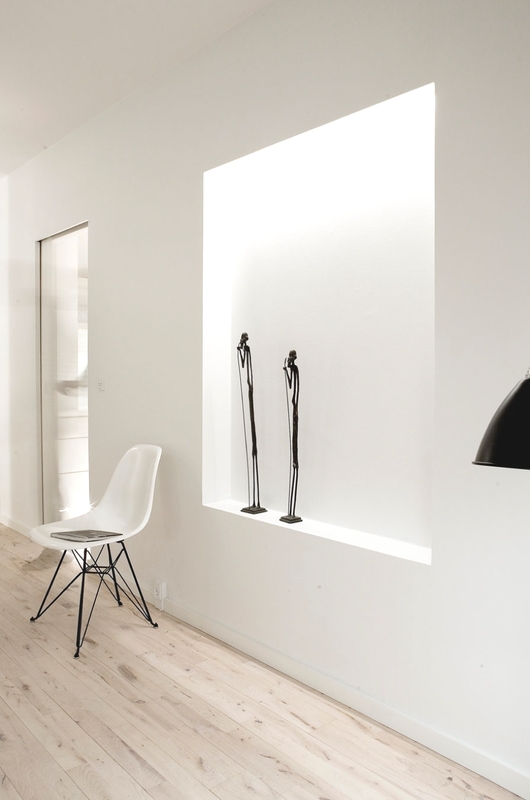 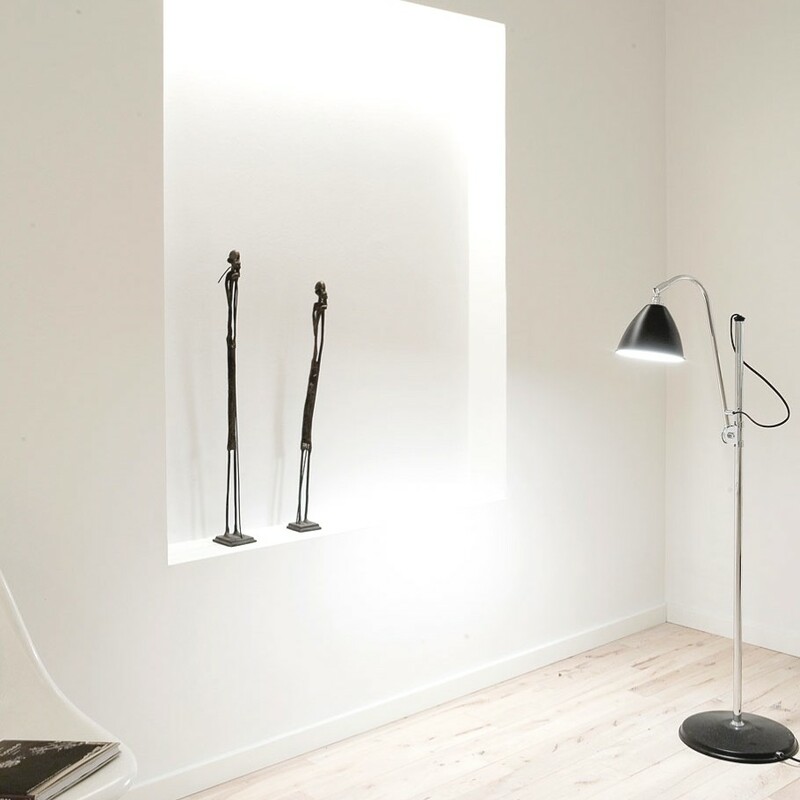 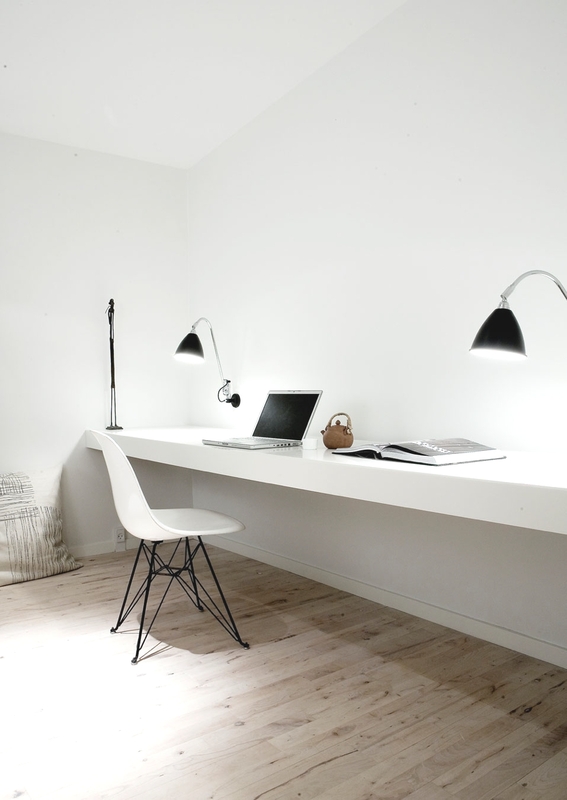 The lamps from Bestlite are wall mounted throughout the apartment. 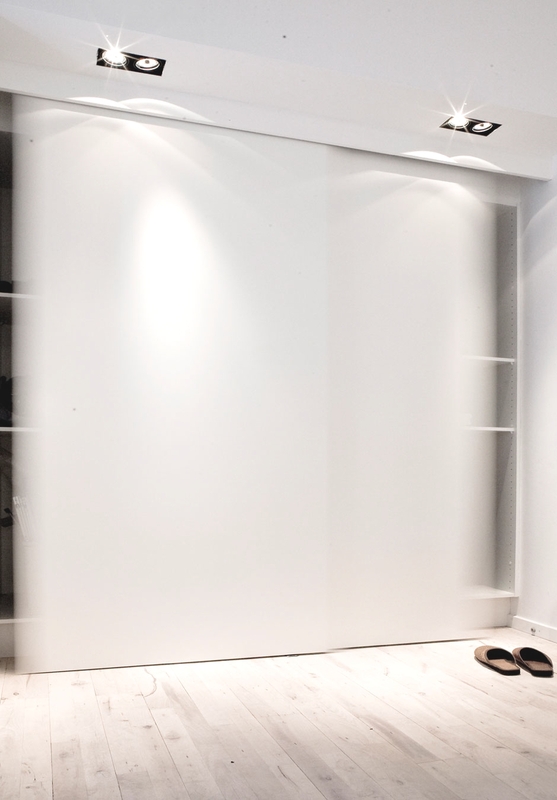 Opposite the bed we created a small niche with closets and sliding doors with no frames. 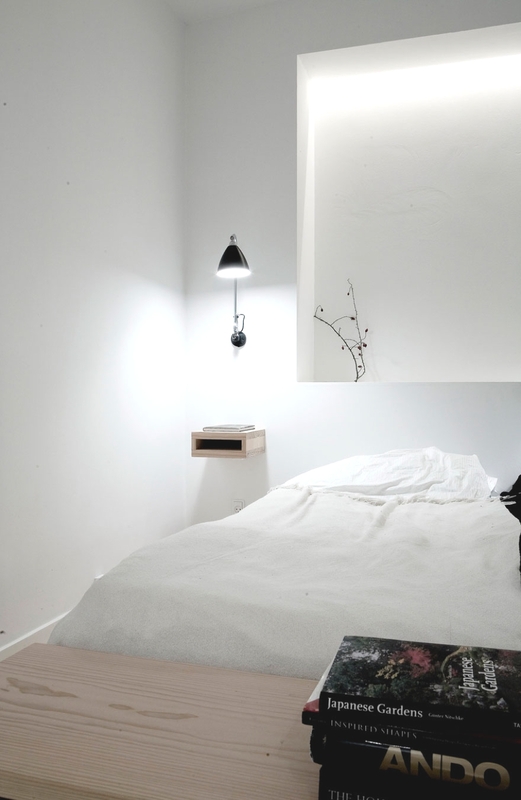 A bench at the foot end of the bed was designed to match the side tables. 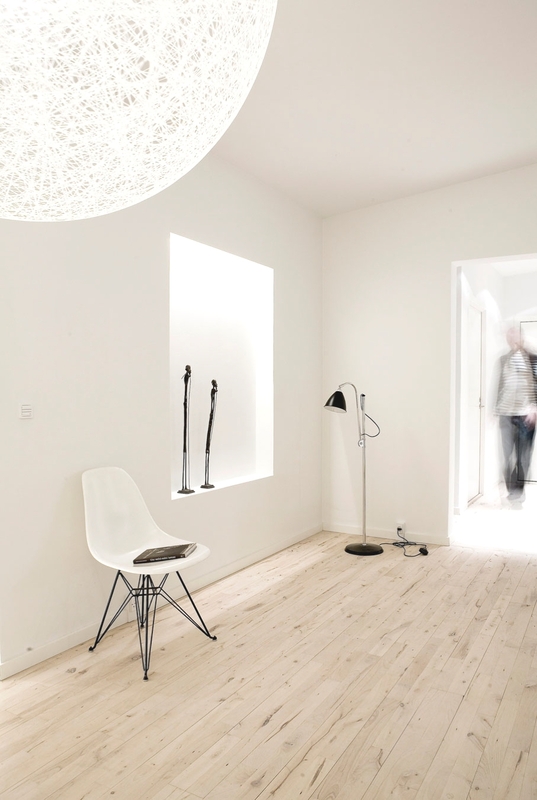 Images courtesy of Norm Architects. 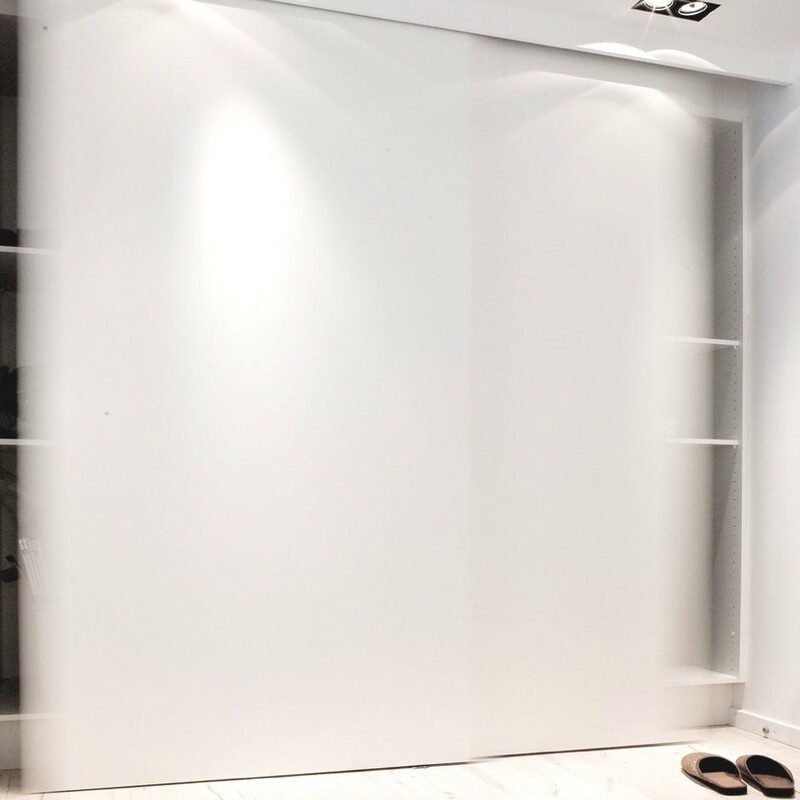 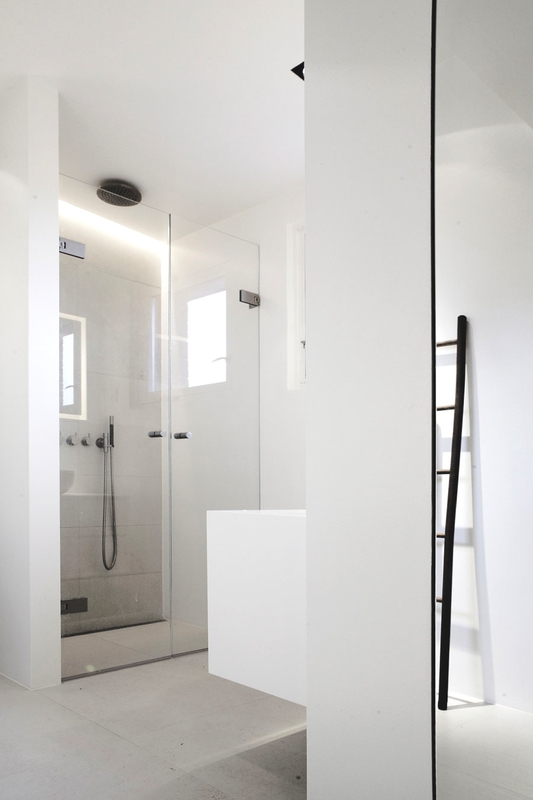 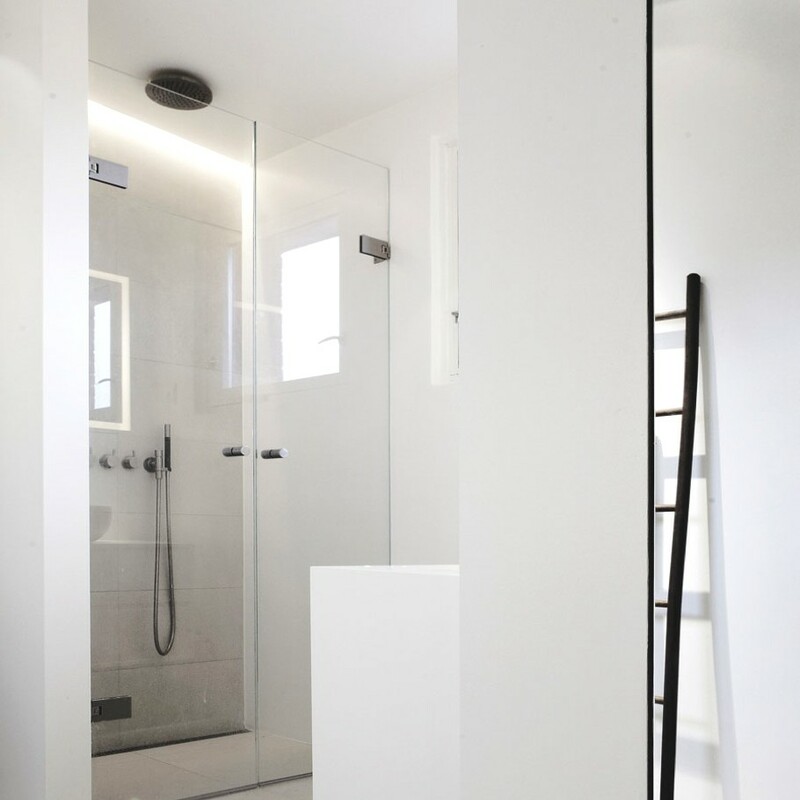 Tarragona-based curtain company KriskaDECOR have created a series of metal chain curtains to give the effect of rain in the showroom of Talsee, a manufacturer of bathroom fittings. 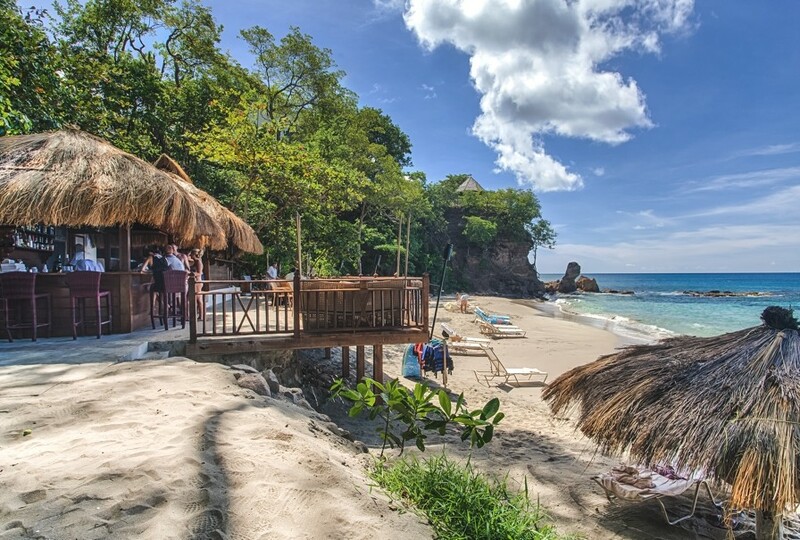 Located on the northernmost tip of Saint Lucia in the Cap Estate, and one of the most exclusive areas on the island, Cap Maison is a chic and luxurious boutique hotel.